Supports installation to SD card. However: doing so will disable the widgets. This is a “feature” of Android, and isn’t something I can fix. See http://bit.ly/icwTHi. 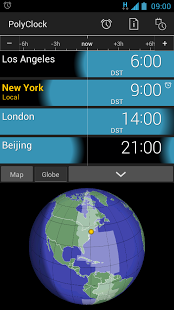 Supports all current time zone changes, including Russia’s “permanent summer time”. However: your phone probably doesn’t. 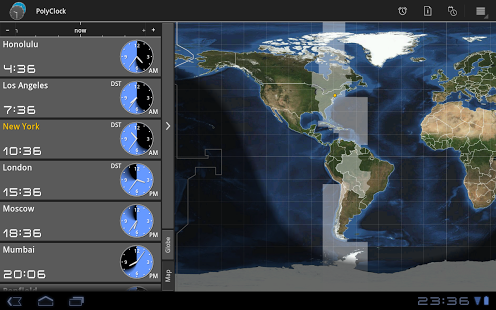 If you are in an affected zone, add it to PolyClock, then use Menu > Apply Zone to override your phone’s outdated time zone data.